During 2013 I posted a monthly update to the list showing the top ten posts from this blog since its inception in 2011. I don’t intend to post those updates as often in 2014, but it seems reasonable to post an update in light of several changes I’ve noticed in recent weeks. 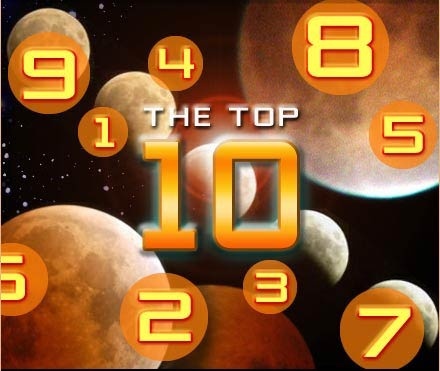 Below are the top 10 most-viewed posts are out of the 578 published here. Coming out of nowhere from outside the top ten to the #5 spot is Book Review: “I Am a Church Member” by Thom Rainer which was published in May, 2013. What I Would Do Different As a Dad If I Had the Chance dropped from 5th to 6th place. Resumes and Your Previous Job Tenures dropped from 6th to 7th place. Rethink Routine rose from #10 to #8. The Worst Bosses I’ve Ever Had slipped from #7 to #9. My First Week With a Fitbit Flex entered the list at #10. Among other blog pages that are not blog posts or the home page, the most viewed are About Jeff Ross, #ESNchat and This, I Believe with the #ESNchat page quickly rising given the frequency with which I promote that page in relation to the weekly Twitter chat I host on the subject of enterprise social networks (ESN). You’ll always find a link to the top 10 all-time posts at the top of the blog. The list is current as of February 23, 2014. Following the most active year yet for this blog, let’s pause to see what the top 10 most-viewed posts are out of the 571 posted since its inception in April, 2011. What I Appreciate Most in Coworkers and What I Would Do Different As a Dad If I Had the Chance swapped places, now being #4 and #5, respectively, instead of the other way around as they were last month. Resumes and Your Previous Job Tenures – a new post from December – jumped to #6 in the list. The Worst Bosses I’ve Ever Had inched up to #7. It’s Tough Changing One’s Direction slipped to #8. More Questions than Answers dropped one spot to #9. Rethink Routine also dropped one spot to #10. Quit Holding Social Media to a Different Standard dropped out of the top 10. Among other blog pages that are not blog posts or the home page, the most viewed are About Jeff Ross, #ESNchat and This, I Believe. You’ll always find a link to the top 10 all-time posts at the top of the blog. The list is current as of January 13, 2014.